In many ways, the first investment in your company is the most important. Once you have investors, it becomes exponentially easier to get more investors, at least if you don’t screw it up. Once upon a time, a slideshow and a team could raise quite a lot of seed money. It hasn’t even been so very long ago. I’ve been involved in 5 startups that all came into being that way. There was no need for bootstrapping, and the products built by those companies were too expensive to develop as bootstraps anyway. Somewhere along the way, fairly recently, something changed. VC Funds had terrible returns for too long, perhaps. And suddenly, it was darned near impossible to get seed money. A team and a slide show were not enough. You needed to bootstrap a product. You needed to have customers for investors to talk to. You needed something nebulous called “traction”. Traction was a moving target that depended on what was fashionable, what inspired the investors, and how charismatic the founders were. This period made things hard for entrepreneurs. Yes, there has been much rejoicing about how much more cheaply products can be built and marketed. And yes, some can. But in many ways, the kinds of products we started building involved lowering our sights to what was possible without a decent seed round. I’ve written about this for quite some time. I’ve even published numbers that show how VC returns have gone down in almost direct proportion to seed funding drying up. Silicon Valley ain’t what it used to be as Dan Lyons says in his Newsweek article on Facebook. While I will almost certainly go see the Facebook movie, I’m already emotionally prepared that it may be depressing. The Valley doesn’t see itself this way, but I wonder if The Social Network doesn’t have an awful lot in common with Wall Street: Money Never Sleeps? Both movies depict a world where schemers get uber-rich without creating anything of much real value by traditional standards. Gordon Gecko constantly refers to getting in on the “Next Bubble” and implies you’re a sap if you’re out for anything with more meaning to it. Is our modern world of investing in one Social startup after the next, many of which are building features moreso than products or companies, any less vapid than the Wall Street Gecko occupies? A very smart friend tells me the VC’s are well aware of all this, but they’re also well aware that their returns ultimately depend on whether the tide is coming in or going out. And, they’ve been sitting on a beach with the tide going out for about 10 years now. Hence they’ve been shy about seeds. They sound like momentum investors to me, when described that way. The problem is that a momentum investor looks for periods of unfair valuation and rides that wave (tide metaphor again). However, such periods are often relatively short-lived. In an era where it takes 5 years, 7 years, maybe 10 years to build a startup to a stage where it can IPO or get bought at VC return-worthy valuations, how do you predict the tide well enough to seed the right deals in time to catch the window of opportunity? The answer is simple: you can’t. Then a funny thing happened: the entrepreneurial ecosystem evolved. Angels came onto the scene and stepped in where traditional VC’s had left off by doing seed rounds again. Sure, it wasn’t a lot of money at first, and it would be darned hard to build a company like Peoplesoft or Autodesk with it, but it was a step. Then we started hearing a lot about bootstrappers who focused on opportunities that required so little capital they did away with VC’s altogether. And some of them made fortunes. I’ve never seen any numbers, but it’s hard to believe they’ve done all that much more poorly than founders at traditional startups lately. This created a real danger for VC’s, who must have started to wonder whether they could be cut out of the loop altogether. After all, despite much protesting, its pretty hard to tell the difference between a Super Angel and a VC. Maybe that’s what Angelgate really brought out into the open, that these investors are all pros who are scrapping hard at a tough job, and that if they take their eye off the ball and forget its all about the entrepreneur, that’s a bad thing for their business. 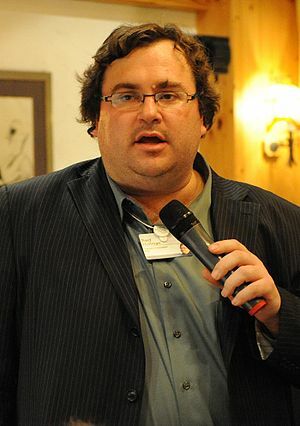 Recently I read that Greylock is staking ex-PayPal and LinkedIn founder Reid Hoffman to do seed funding with $20M. I think that’s great news, and a good move on Greylock’s part (always a savvy firm). What the entrepreneurial ecosystem needs is this healthy competition and more seed money. Maybe it means the seed funding pendulum has reversed. I hope so, because after reversal it still takes time to come up to full speed. VC is a business that depends on Darwinian search to find opportunities and a portfolio effect to mitigate the risk of failed opportunities. What that means is you place a lot of bets as well as you can, but knowing that most will be bad bets. You depend on a few to be insanely great, and on the diversified portfolio of these investments to protect you from the risk. With each successive round you double down where traction verifies the earlier bets were good. If there isn’t seed money, there isn’t enough feedstock of initial deals to drive the process of Financial Selection (bit of a play on Natural Selection, it is seldom very natural in this world!). Too little diversity is bad for any ecosystem. Funds with more seeds cast a wider net, not to mention creating relationships with entrepreneurs that will want to have them in subsequent doubling down rounds. Now comes the next challenge–with competition, as with evolution, there is always another challenge. As more seed money becomes available, you will have to broaden and diversify your investments. If everyone is investing in location-aware social networks, you want one of these in your portfolio, but you want to find other areas that aren’t so crowded. You’ll have to try more contrarian investing to avoid having your portfolio become too highly correlated both internally and across the spectrum of what VC’s are investing in. That’s the beautiful thing about a market–it forces its players to constantly evolve.